​Area rugs are prone to excessive use depending on their placement in the interior space and the circulation pattern of the house. Oriental area rugs also happen to be a huge investment that only appreciates in value, so long as the owner takes proper care of it – they require regular cleaning and maintenance, especially if they are antiques. Without exception, Oriental area rugs are precious, timeless classics that are not only very expensive but also very rare to find. 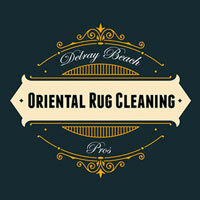 Because of this, cleaning such a rug is a task that many owners prefer to do themselves. But when it comes to repairs, trying to handle the job yourself may further harm the rug instead of fixing it – hence, it would be a wiser decision to let a professional rug repair company like us do it for you. We start by clean the rug thoroughly to remove any stubborn stains that detract from the rug give the illusion that the rug needs additional repairing. Sometimes, stubborn stains that are prolonged for long enough bring about a need for restoration, and while extensive, we're fully equipped to handle this task as well. Once cleaned, your area rug is gently dried using professional industrial treatments, softening the rug depending on the need according to its material. We then fix any permanent damages like burns or tears on your expensive area rug – our professional team is well-acquainted with the most exotic rugs and their requirements and can even perform feats such as patching up your burned rug by replicating the original design. Getting an expensive area rug for a formal room in your house might be the best decision you can make to add to its aesthetic appeal. Maintaining these rugs, however, can be a complete hassle as they are rarely manufactured for utilitarian tasks. The main reason why anyone purchases an Oriental area rug is so that it can add considerably to the beauty of the room – these rugs aren't meant to hold tables just so they don't scratch the wooden floors, nor are they used as welcoming mats on which people wipe the dirt off their shoes. However, there is no guarantee that your precious rug wasn't used for these purposes in the past, which might have caused considerable damage by the time it got back to you. Area rugs are often made from fancy materials and have a lot of handiwork done on them, often featuring plenty of ribbons and threadwork which might put them in danger during cleaning as water might cause one color to bleed into another. 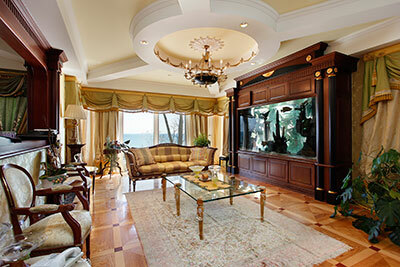 Some area rugs are even made out of silk, which means they must be placed in a room and at a spot that is seldom used. Rest assured that we are well aware of the distinction between an utilitarian rug and a beautiful area piece, and we ensure a repair process that does not damage the rug further but fully restores it to its previous condition instead. 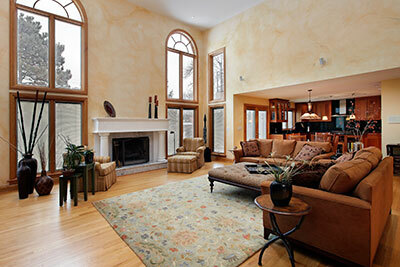 No matter how careful you are, your area rug might find itself in need of repairs. If it has, do not worry and most certainly forgo throwing your rug away, as our repairing services are guaranteed to cover its form of damage. If your rug is braided and is now ripped, we can easily fix it, most often by pulling the ripped braid out and sewing on a new one instead. If the braid has only been ripped at a certain point, we unbraid the thread or ribbon up to that point, sew it and re-braid it, giving the rug a seamless and fresh appearance in both cases. On the other hand, we understand that sewing a sequined rug can be a bad idea because folding it in angles while sewing can end up loosening more sequins, so we'll sometimes use special glue to bring parts of the area rug back together instead. Our repairing methods are immensely varied based on the kind of area rug we're dealing with, and no two repair jobs are the same. There is one persistent element every time we repair a fine area rug, however: our ability to restore even the most worn and torn rug back to proper appearance regardless of how much time and effort our technicians need to put in. By the time we've returned the rug to you, not even you will be able to tell that the rug had potentially extensive repairs, and visitors of your home will certainly be aghast at its beauty and flawless surface without a single mark on it.